A good handyman is hard to find but indispensable to keeping your home in good repair. That goes double if you’re not handy yourself. Whether it’s replacing a toilet, installing new switches and outlets, cleaning your gutters or painting and staining exterior wood, a handyman can take care of those jobs you’re too busy or not sufficiently skilled to do. But first, you need to find someone you can trust. You’re letting this person into your home, and you need him or her to do a good job. An unskilled or unreliable handyman can leave you worse off than before, desperately looking for someone to repair what they messed up or even holding the bag while they abscond with a huge chunk of your home budget. You need to vet potential handymen carefully, get quotes from multiple contractors and be savvy when it comes to managing a contractor’s work. Perhaps the most reliable method of finding a handyman remains word of mouth. Ask friends, neighbors, family members and even your real estate agent if they can recommend someone who’s done work in their home. Most great handymen get the majority of their business through word-of-mouth references from happy clients. A contractor who comes recommended by a friend or neighbor is unlikely to vanish with some of your money. Online review sites like Yelp, Angie’s List, or HomeAdvisor provide reviews of handymen and home contractors, although at least one (Angie’s List) requires members to pay for access. Other good sources for reviews include the Better Business Bureau and Google listings. For example, searching for “best Miami handyman” will provide you with a list of Miami-area handymen, ranked by their review rating. Check with your state’s consumer protection bureau to make sure that there haven’t been any serious complaints lodged against the contractors you’re considering. Google your contractor’s name plus the word “complaints” to find out if he or she has a history of ripping off clients or doing poor work. Once you’ve located some contractors who look good, it’s time to start getting quotes. Any contractor you contact will need to form a firm grasp of the scope of the work you need done to give you an accurate quote. No contractor will be able to give you a reliable quote without seeing your home and discussing the work with you in person. This meeting will give you a chance to decide whether you’re comfortable with allowing this person to enter your home and potentially alter it. Don’t be afraid to turn down a contractor who makes you feel uncomfortable. Get quotes from at least three people, if you can, and don’t automatically go with the lowest one — that contractor is either planning to cut corners or doesn’t understand the scope of the work involved. Usually, quotes in the middle range are a safe bet. While you’re getting quotes, get references too. Any reputable handyman will be happy to provide you with at least three references in the form of previous clients. Make sure those previous clients were happy with the work they had done. If you hire a handyman to do a renovation or repair job and he or she starts asking for money up-front, run. 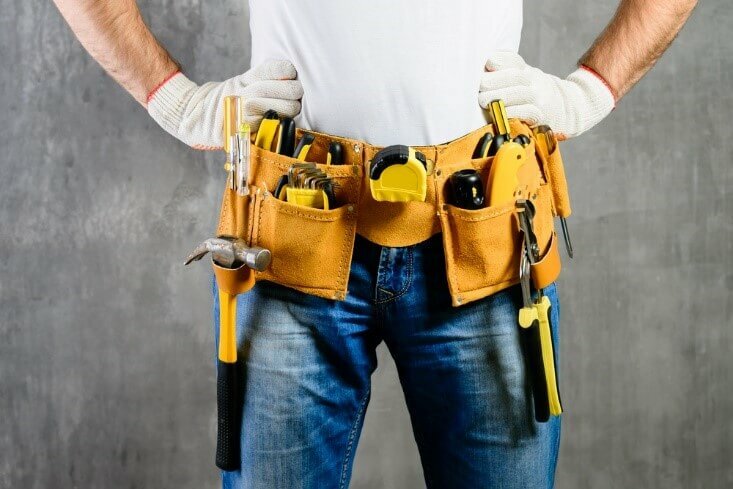 Unless your job requires specialty supplies that need to be ordered, there’s no reason your handyman can’t pay for the supplies him or herself and then bill you when the job is complete. Paying up-front is a good way to find yourself out the money and the work. Call your second-choice handyman instead. You don’t need to hover over your handyman as he works, but make sure you know what’s going on with the job. Is the work being completed as discussed and on schedule? Ask your handyman what he or she did each day (for a multi-day project), and make sure he or she contacts you if anything unexpected comes up. You don’t want your handyman to work around a problem because he or she didn’t want to take the trouble to call you. 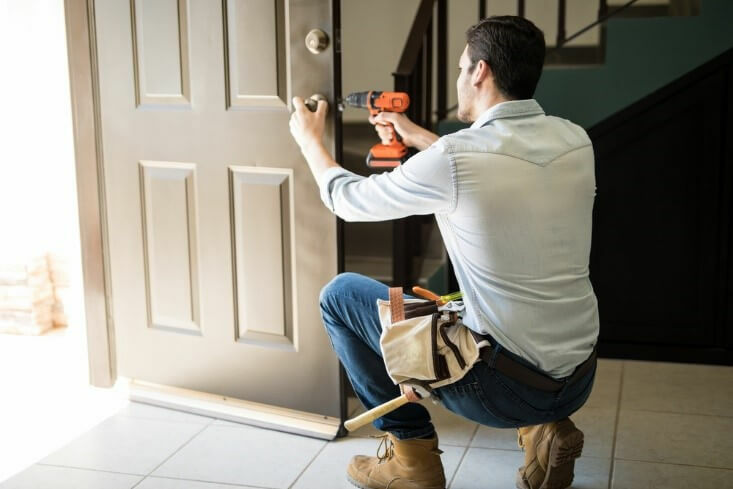 Whether you’re planning a full home renovation project, or you just need some basic repairs and maintenance done, it’s time to stop procrastinating finding a good handyman. It might take a little footwork, but it’s worth it to have someone you can trust to do work in your home. With a good handy man in your corner, you can realize the full potential of your home, and be happier with it than ever before.